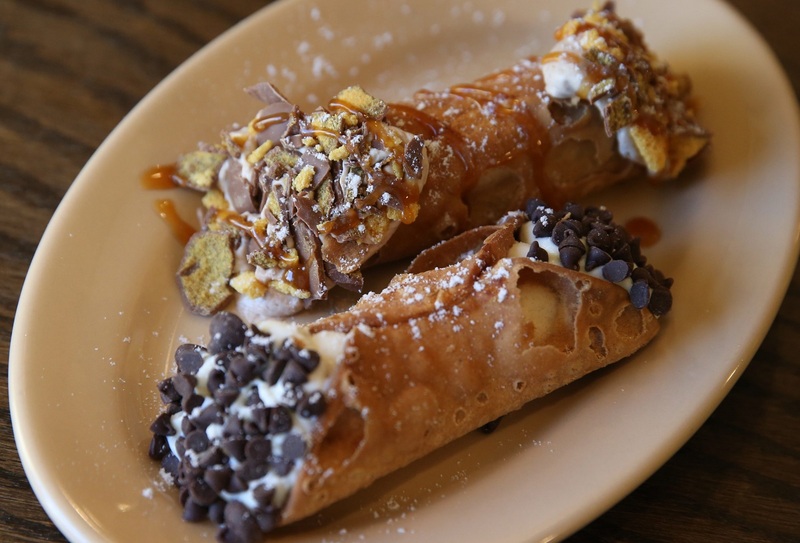 It’s easy to be overwhelmed with all of the choices for inexpensive Italian eats in Buffalo. If you have an old phone book lying around, pick it up and flip through the hundreds of local choices from Amici to Zetti's. My mother’s a wonderful Italian cook, which makes it even harder. Yet nestled in the middle of those alphabetical listing is one of my local favorites, Panaro’s, a restaurant named after an Italian mom. It’s run by the brothers Concialdi, Mike and Tony. 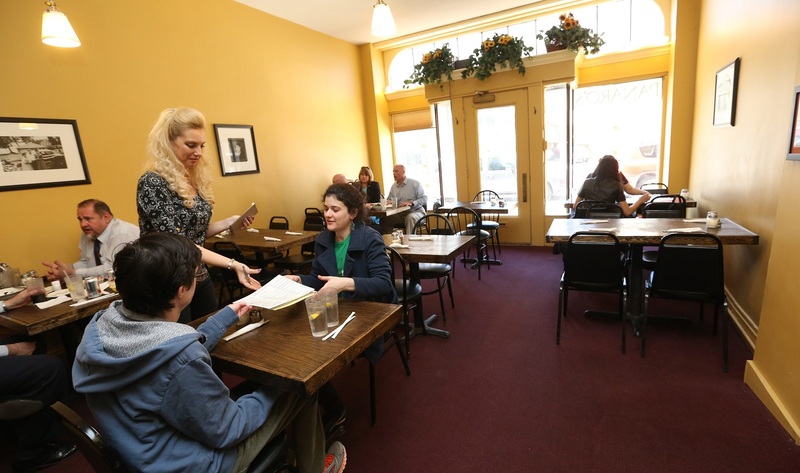 How does a restaurant that only provides lunch and catering survive for more than a decade in downtown Buffalo? 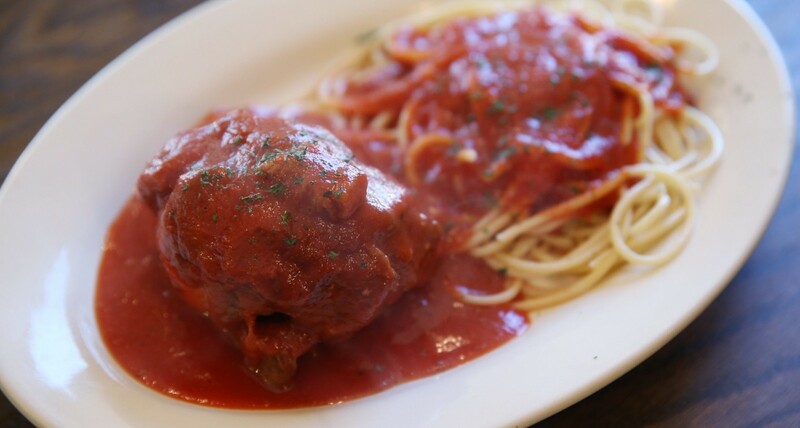 The answer starts with brasciole ($10.95), a braised pork shoulder, wrapped around a meatball which envelopes a hard boiled egg all smothered in Sunday sauce. While a favorite among Italians, it is sparsely found locally and Panaro's, which only serves brasciole on Wednesdays, makes my favorite. After sampling a number of items, it is clear that the Concialdi brothers excel at creating Italian comfort food of all varieties. There is nothing fancy about this restaurant, but like local favorites Santasiero’s or DiTondo’s, it is one of those places whose dishes make you think of mama. Perhaps the perfect example is the paste e fagioli soup ($3.50 cup/$4.50 bowl) or fazool as it is known in my family. 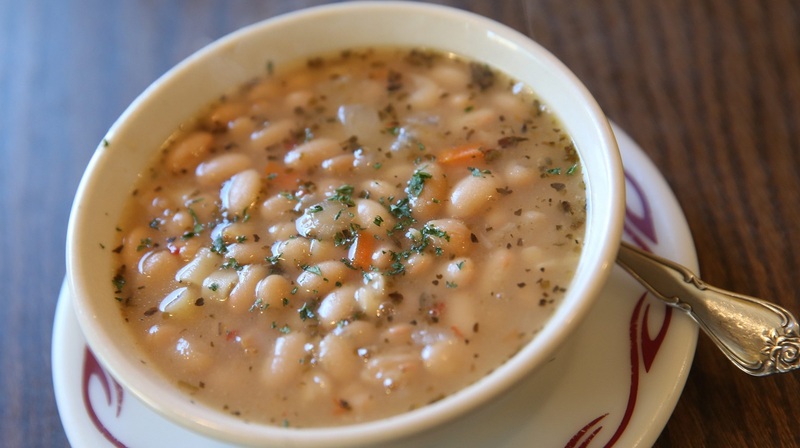 This rich soup is thickened with white beans and chichi beans, sweetened with carrots, flavored with Italian herbs and served over al dente ditalini pasta. Another Buffalo-Italian favorite is Panaro’s stuffed banana peppers; a culinary game of Russian roulette on whether you get the tongue-numbing spicy or the disappointing “dud” Hungarian pepper. While I have seen all sorts of varieties like the creamy anchovy stuffing swimming in a pool of oil made famous by Billy Ogden's, I prefer Panaro’s variety ($7.95) which goes back to pure simplicity: seasoned breadcrumbs and a little provolone and Romano cheese to hold it all together. It reminds me of the breadcrumbs my mother would stuff into her artichokes, just delicious. Finally, I could not think of something reminding me more of my childhood than dandelions. 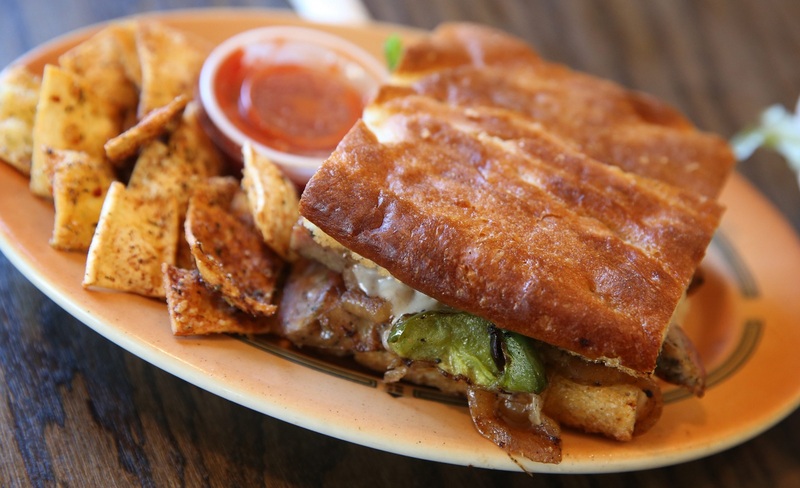 Panaro’s features Ferris’ chicken dandelion sandwich ($9.25) which is perfect for a quick downtown lunch. Soft chicken strips are mixed with sautéed dandelion greens and garlic with melty mozzarella on a soft, homemade roll. The mix of bitter dandelion and soft spiced meat is truly a classic. It’s served with a side of unique homemade “pasta chips” which are way better than any potato chips. Lightly sweetened, fried squares of pasta are covered in spices and served with a side of Sunday sauce, which makes for a truly addictive snack. The restaurant also serves more traditional fare like sandwiches (tuna, turkey club and Chachi’s fried bologna) and salads (chef, Caesar and Little Stevie’s Tuna Salad). 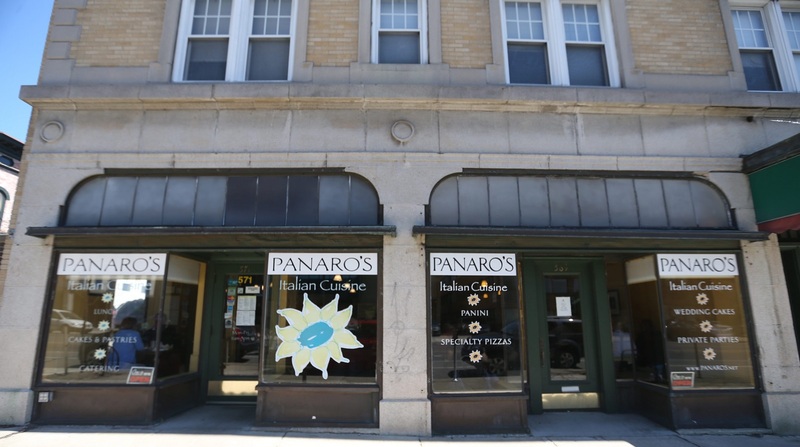 With more local favorites like the lazy lasagna ($9.25), or their award-winning sponge candy cannoli ($1.50) which encapsulates the very essence of Buffalo-Italian, Panaro’s offers some of the best inexpensive Italian food in the city.